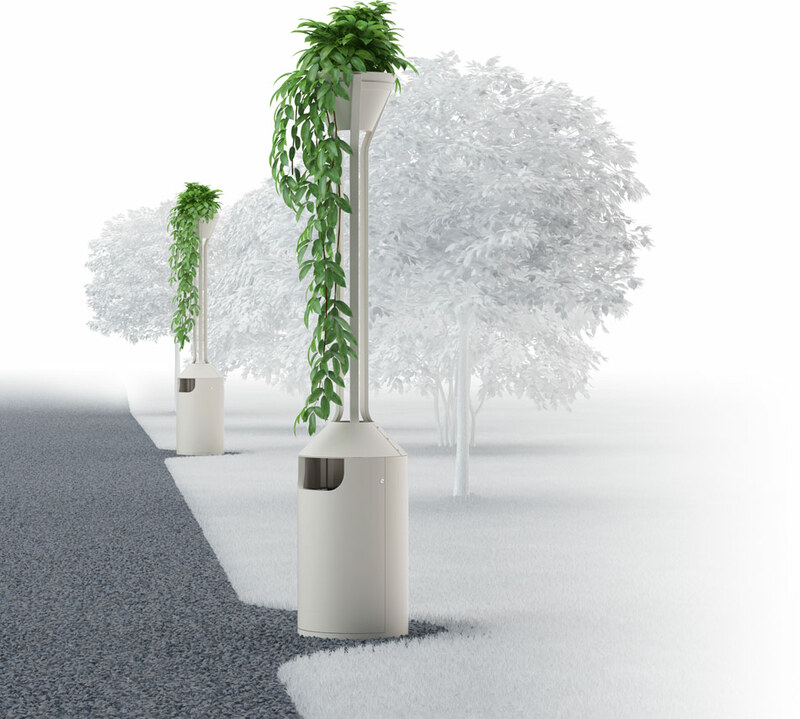 Task: to design an outdoor trash bin that is pleasant to the eye. 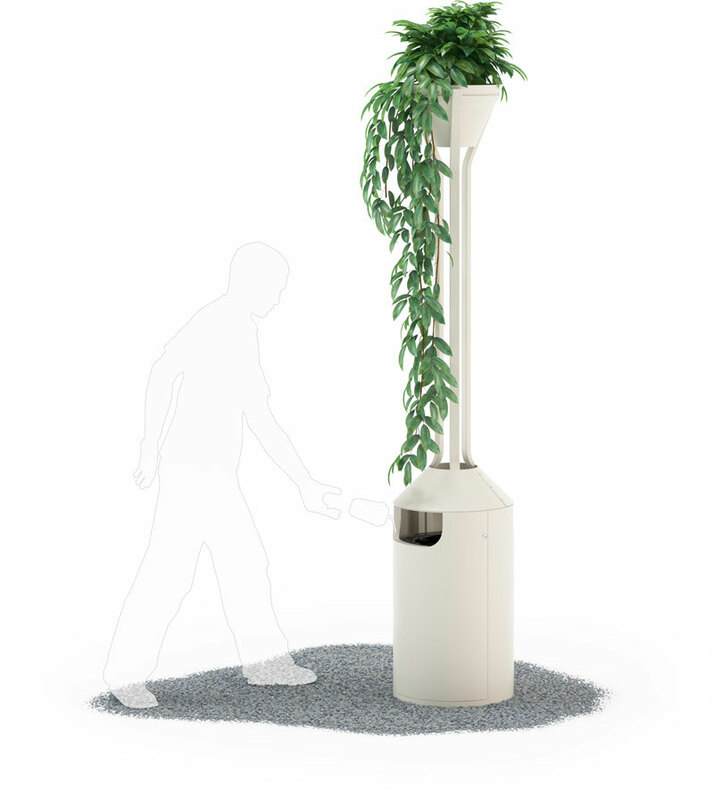 Florus is a street trash can that is also a flower stand. Florus is made of stainless steel, powder-coated and is held in place by anchor fixings. Inside is a metal bucket that holds the trash bag. 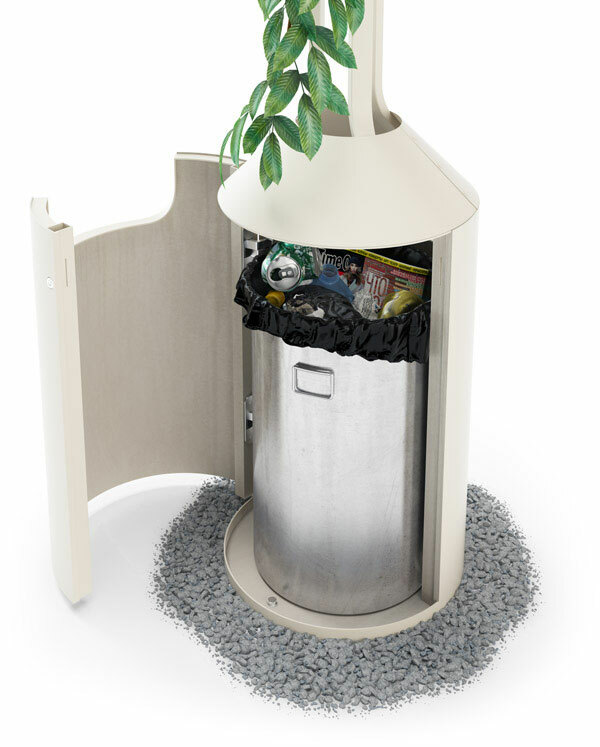 At the base is a broad door that provides easy access to the trash bag.